Should Singapore restrict trading in Bitcoin? More specifically, should the Monetary Authority of Singapore introduce some sort of ban or restriction to trading in cryptocurrencies? Prices have rocketed to fever pitch. In just October this year, it was trading at $4500. Today in December, it had reached a peak of $19,000. Although having been around for a decade, prices of famed Bitcoin had increased sharply over past few months. Everyone and their grandmother had been quick to point out that this is the formation of a clear bubble and the time for it to burst is overdue. Now, if the government knows this – should they be putting a stop to it? If not for the bubble, then at least for the criminal activity that cryptocurrency is popularly used for. If the MAS does want to make trading or possessing Bitcoins illegal, it will be very difficult to enforce such a ban. The technological means exists, however they will not be able to do so without risking a crash in the cryptocurrency market – and good luck be to the Singapore government if it makes an enemy with the entire planet. But governments have to react. They cannot be seen as being tolerant to an anonymous payment system that facilities crime and tax evasion. So how? If you can’t beat them, join them. Banks are already in talks over the minting of a legit digital currency. It may not be easy for smaller players to do this. 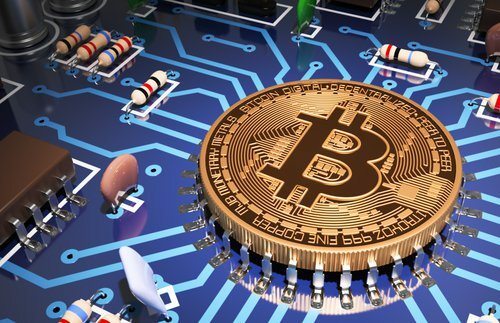 Although it is easy to create the technology and even improve upon Bitcoin, it is not easy at all to recreate the ecosystem that surrounds the currency. This should not be a problem for banks though, they have all the resources to pull together retailers and service providers to get the coin accepted. Banks can even integrate policies and rules into the currency, that would make it a government friendly technology. The possibility of tax evasion and crime can be eradicated completely. Japan has accepted Bitcoin as a legal tender. the United States is taking small steps to follow Japan’s lead in regulating finch. Some governments, have decided to act against the currency. China had banned Bitcoin exchanges. South Korea had banned its banks from the trading of Bitcoin. The march of the cryptocurrencies are still in their early stages. Bitcoin may come and go, but the technology that powers it has so much possibility. In the future, machines might perhaps trade amongst each other autonomously. Maybe we would have autonomous, non-human governments or a non-human central bank…and when that is the case, cryptocurrency and the blockchain technology would be the only way any sense could be made out of money. Singapore has a lot of appetite for new technologies and likes to see itself as a sandbox for the development and improvement of tech. The government is likely to adopt a “wait and see” attitude whilst warning citizens of the risk on these products. Policies if introduced will likely be a light touch, because it will not want to risk an international backlash by releasing policies that cause a price plunge. Instead of banning or over regulating the technology, Singapore should join international experts to explore this new currency and develop new ways of regulating this strange new treasure. There is a lot of opportunity in this field yet.